"Went in to buy new ford fusion hybrid. Salesman..."
Went in to buy new ford fusion hybrid. Salesman couldn't get the car to star. Came back after they fixed the problem.told him my intention was to get exactly what I wanted from the factory. He then proceeded to try to sell me a different vehicle that was in stock. I did not bite so he continued to tell me not to buy the hybrid. After three visits I only needed my wife to come and test drive the car as well and we would have a deal. Again couldn't get the car to start. I aged to but the cat because there was a deal on the car for 5000 of mrsp. I questioned the price and he called the vice president Kelly over and he verified the discount. I said he had a deal pending on my etudes test drive. I called back to verify the price and was told of course you where standing right there when my VP verified it. I said great I'll be in to sign the papers. So I went in and sat down to sign and at this point was told that there was a problem with the price and I would not recurve the discount of 5000. I replied this was unacceptable considering I had triple checked the price. I was told too bad. So I left very upset. I called the VP Kelly and he remembered verifying the price.he apologized and said he would sell me the car for cost. He said he would look up the price and call me right back. He never called back. So I called him and was never able to speak to him.I left numerous messages with no response. I then went to freedom ford and got the best price and service I could have imagined. Save yourself the trouble and stay away from Sherwood Ford. "Tried to buy an Escape. We knew what we wanted,..."
Tried to buy an Escape. We knew what we wanted, couldn't get any easier for the salesman. I asked for their bottom dollar and they started playing the waste my time game. They would lower the price by $100 then bring out the manager to say will you buy it today if... After the 3rd attempt at getting a price and the 3rd manager/$100/will you buy we walked out and bought a better equipped CRV at a lower price and without the games. I don't understand this approach as I think they must piss off and lose a lot of potential customers. "Like most people, I've never walked out of a..."
Like most people, I've never walked out of a Dealership feeling like I won........until today. This past week my wife and I decided to trade in our family vehicle for a new Ford truck. We decided to try Sherwood Ford after hearing many good things about them. 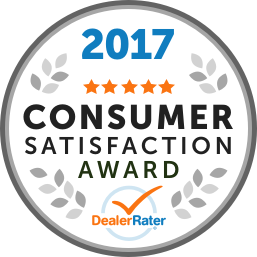 When we arrived, the staff was attentive and courteous without being pushy like other dealerships. It was refreshing. We were greeted by Chris the Sales Manager. Chris had a genuine interest in what we were looking for. He led us over to one of his Salesman, Sharbel, who immediately made us feel welcome and at home....without seeming pushy or phony. Sharbel helped us find the ideal vehicle for us, exactly what we wanted. As I was preparing myself for the old, "that's the best price I can do for you but you need to buy it today" speech, Chris came over to see how we were doing. He and Sharbel went off for a quick talk and some paperwork. When Sharbel returned, he showed us the price that he and Chris came up with, including the trade in price for our vehicle. When my wife and I saw the price they wanted, we were shocked! There was no need to ask if they could do better. Without consulting with my wife, (The Boss), I quickly agreed with the deal......before Sharbel could back out of it. LOL. It was obvious right then that Chris and Sharbel really were looking out for our best interest! We were very impressed. We then met with Robert from finance to do up the paperwork. He quickly and painlessly did up the boring paperwork while he and I exchanged stories and drank coffee. Robert helped us make some right decisions about all the confusing stuff, like undercoating and maintenance packages. He explained everything very carefully and made it easy to decide what we wanted and even what we didn't need. Again......looking out for our best interest. When the last of the paperwork was signed, we still couldn't believe the great deal we got, and how well we were treated. My wife and I truly feel like we made 3 new friends today. Would I recommend Sherwood Ford to friends and family? Absolutely! Since buying our new truck my in-laws went in and happily walked out with a new Ford Edge. I was so surprised when Sherwood Ford gave me a $750.00 for referring my in-laws to them. 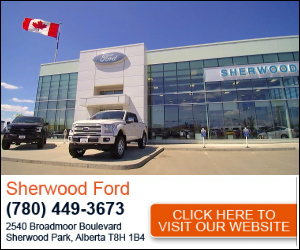 There is no doubt I will buy our next vehicle from Sherwood Ford. Thank you for all your help guys!!!!! "I had been to this dealership and they completely..."
I had been to this dealership and they completely mis-sold me the car. They told me something else while selling and after i bought the car the papers said a complete different story. "Just bought a 2013 Shelby from Sherwood ford. The guys..."
Just bought a 2013 Shelby from Sherwood ford. The guys there are awesome to deal with. From my wife's n my first phone call to visiting the dealer it was by far the best buying experience we have ever had. Kevin out salesman was very experienced and knowledgeable about the car we were buying. Keven and lucus went out of there way to help us. Any questions we had, they were able to answer or they went out of there way to get the answer for us. They never tried to pressure us into buying something that we didn't need, unlike other dealers I've been to in the past. The owner himself was there to sit and chat to me about cars. 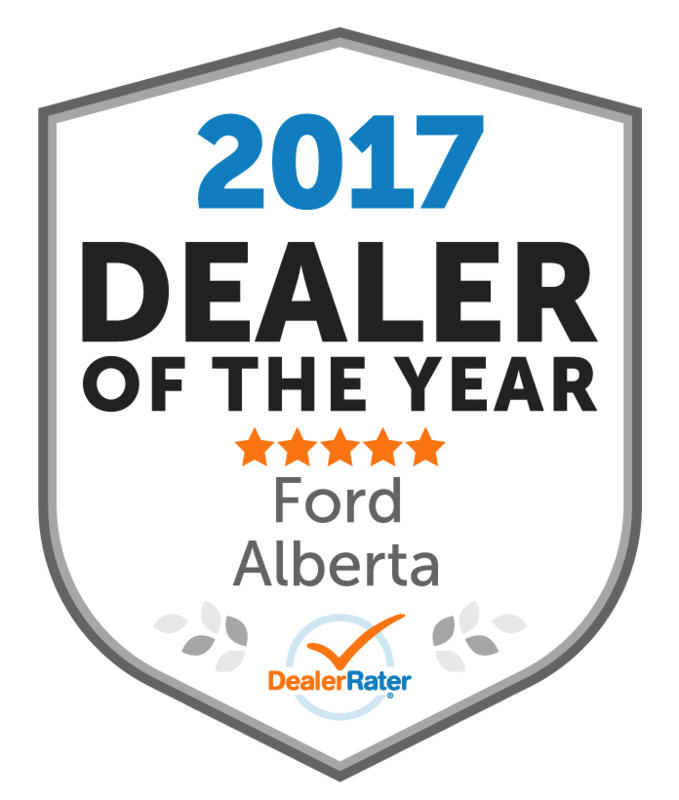 I would recommend Sherwood ford and Kevin to anyone. These guys again are awesome to deal with. Thanks Kevin, thanks Lucus for making our buying experience nothing but the best. "The worst customer service I have ever been served I will..."
"Very knowledgeable staff, ended up buying a Ford edge at..."
"They mislead customers regarding price. They do not..."
"Never had such a bad experience. Once they have youre..."
Never had such a bad experience. Once they have youre money, thats it, your shoved off to the side. Very bad customer servie, they never call you back, still waiting. Bought 2 cars, both were not ready for pick-up, still still in truck of car, piss me off.. Sales was ok, alot of work needed there. Salesmen bribe us for a good review, how sad. Serivce department was bad, woodnt suggest anyone go there. Qoute from salesmean "what a gong show". Finance was kinda ok, they got it all done fast, but lots of missing paper work. Id wished id read the reviews before going there, huge mistake.. so unhappy..
"Sales manager( who is the owners son, and had a cocky..."
Sales manager( who is the owners son, and had a cocky arrogant attitude ) pulled a fast one and it ended up costing me 2000 more than we agrees upon. Go elsewhere, save money.